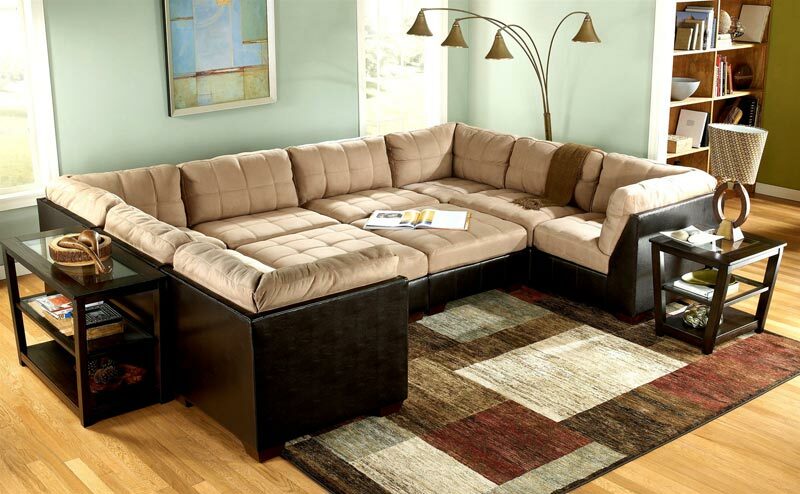 If you have a large living room, a 7 piece modular sectional sofa will be a grandiose choice for you! It will provide enough sitting room for quite many guests, thus turning your living room into a most inviting space you could ever have! 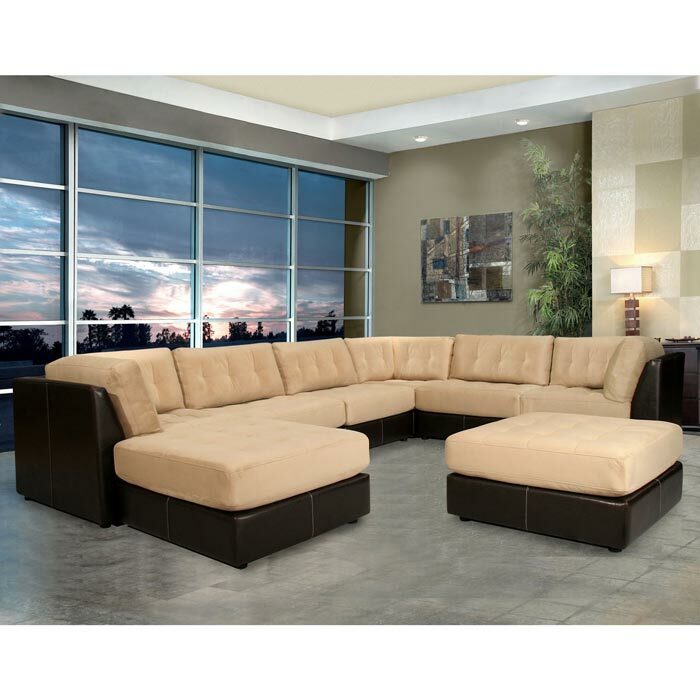 What makes these sofas so practical, is that, depending on the shape of your living room, you can place the sofa the way that will be most convenient to sit and relax. What concerns the material and color options, they are various. Accordingly, taking into account your living room’s design, you can always find a beautiful model that will only contribute to the overall interior style. 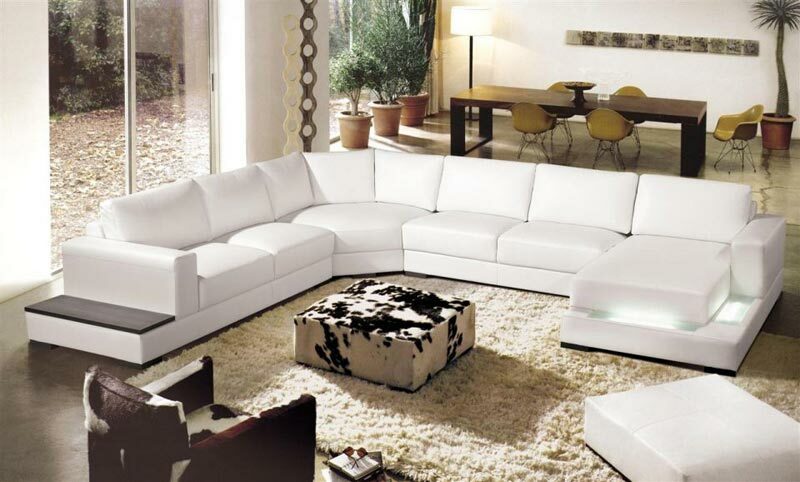 Among the most enchanting modular sectional sofas coming in 7 pieces you are sure to love the Clark Leather Sofa. This is a unique model that can freely be considered as the most stylish sofa for a modern house! Featuring a deep seating and an opulent top-grain leather upholstery, the sofa promises comfortable sitting experience for hours! You can obtain the model at $3,380 and enjoy not only its premium quality and amazing look, but also its ability to be separated into several pieces for a diversity of setup options. 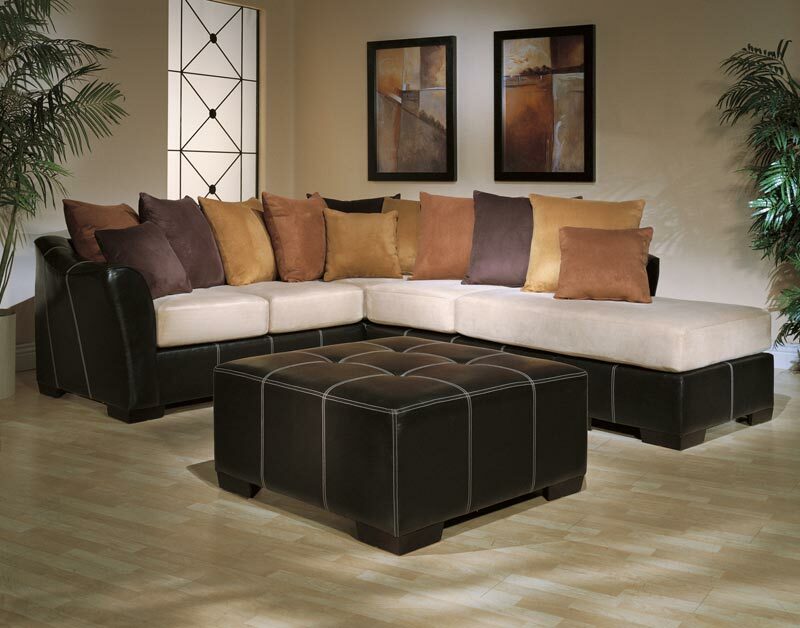 This gorgeous sofa is available in chocolate and ivory colors. 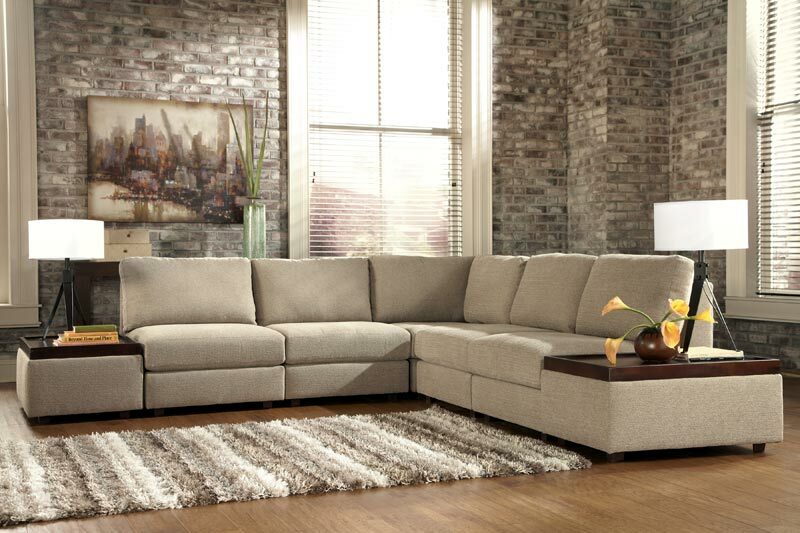 Another fantastic 7 piece modular sectional sofa is the Guildcraft Quantrum 7 Piece modular Sectional Sofa. 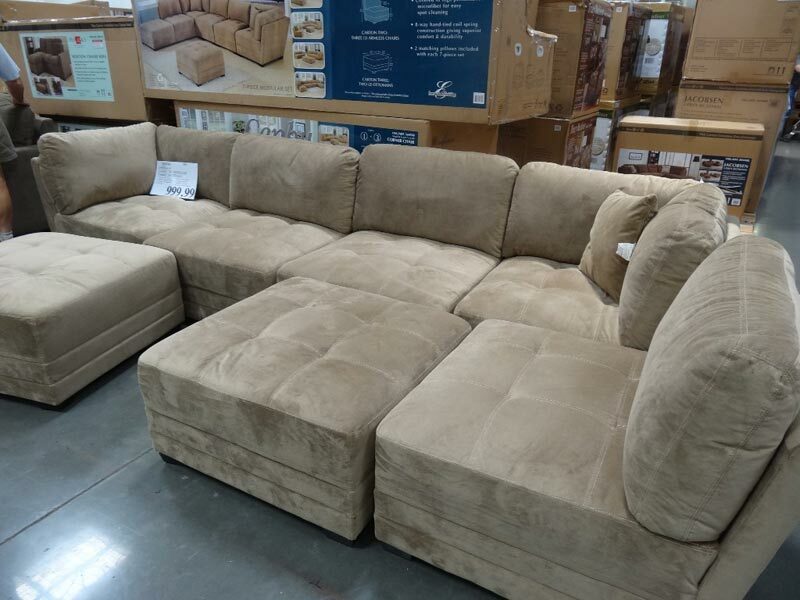 Unlike the sofa model described above, this one lacks luxury, instead has a sophisticated and elegant appeal. It is entirely covered with plush velvet and durable vinyl. The frame of the sofa is constructed from hardwoods and engineered plywood. Be sure once this marvelous sofa appears in your living environment, it will bring unique charm and style to the whole space. 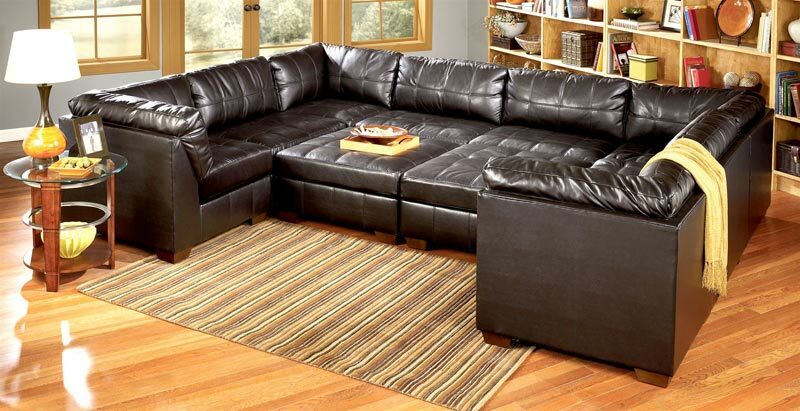 Why should you buy leather sofas on sale?